It’s not often a home-brew item with wacky mods turns out to be the perfect gift, but this shovel/USB drive is a complete fury of win! This Christmas I’m totally going to do this to my father… and perhaps a few others. I’m not really sure what they used to get the USB drive into the handle, but it’s worth it, whatever I have to do. Perhaps some 5-minute epoxy, so to use the drive it will actually take cutting the handle down to a stub or putting a disc sander to it. Perhaps I should start cruising yard sales now to make sure I get a few really nasty, rusted-out shovels to put into action. Also, so it’s not just a throwaway gag gift, get a really nice drive to entice them to use or salvage it. We don’t know who did this but our hats are off and beers up whoever you are. Well done indeed! The look on any recipient’s face of this illustrious prize is sure to validate any trouble concerned with its design and execution. The History Channel has been playing the damn Kobalt Double Drive mini-infomercial between breaks so much I would actually buy one if I thought it’d make them stop playing it. The funny part is, as much as I’d like to make fun of it, the twisty ratchet does look pretty cool. The basic premise is, if you click it to double mode, a barrel twist each way will advance the head in the direction you’d like to go. The Double Drive form factor isn’t funky or out of line with what a ratchet should look like, and it delivers more functionality than a standard ratchet. It reminds us a little of when the GearWrench pass-thru system first came out, but not nearly as groundbreaking. For around $20 it seems a decent investment to throw down for. The FatMax magnetic tape honestly looks like a normal FatMax with a magnet clipped to the hook — but sporting a $22 price tag instead of the $8 you’d find with the standard leverlock. 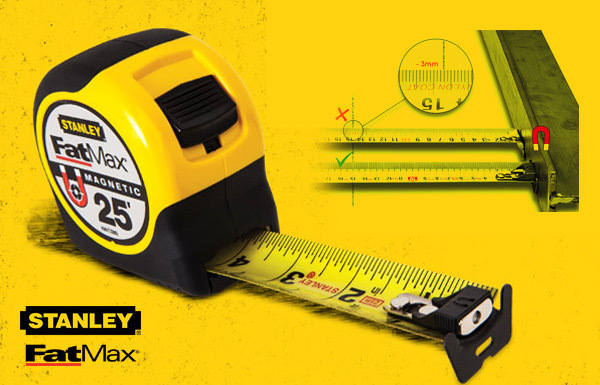 However, as with many Stanley tape products, the benefits of the magnetic tape are a little more subtle than might first be expected. I really needed to change blades on the Shop Smith recently in order to rip hardwood stock, but there were a few issues with that plan. 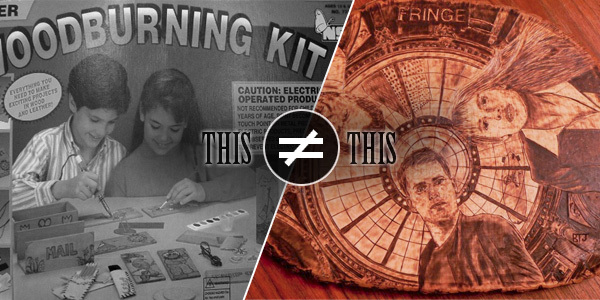 The first is the Mark V takes special 10-inch Shop Smith blades that you can’t just buy anywhere. The other was that my version of those blades had worn out, and the technology behind them isn’t evolving as fast as the rest of the competition. 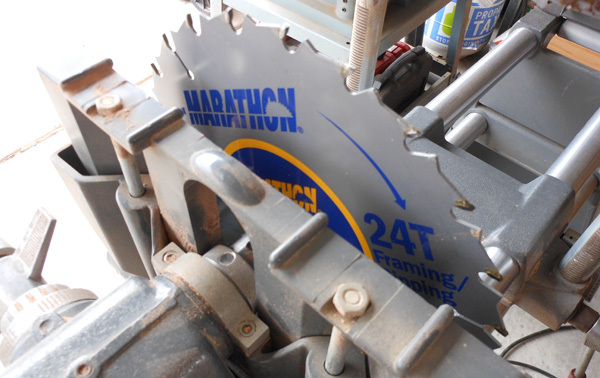 Luckily, Shop Smith provides an arbor that allows a different brand of blade on the machine. For me, mixing paint is an action that involves an old screwdriver or a scrap of wood. 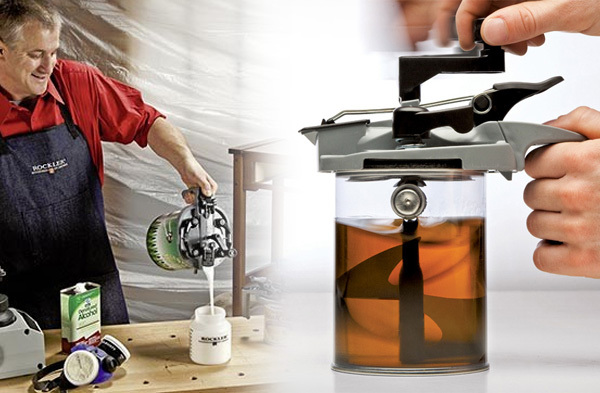 The Mixing Mate paint lid claims to simplify the process of mixing paint or stain in the can: it combines a one-quart paint can lid with the properties of a coffee grinder and one of the maple syrup dispensers from IHOP. The Mixing Mate seems to work well from what I’ve seen, but for some reason I’ve never needed the help getting paint mixed or pouring it into a can or tray. Normally it’s a rite of passage to open up a can, stir it up, then spill paint everywhere before learning to control the can. After the first time it really isn’t an issue anymore. Plus, if you want to switch paint or materials you’ll have to wash the thing off really well or you’ll be making a different color than you thought. On the whole it looks like it’d work, but so would a screwdriver and 15 seconds with a paint stick. Decades of work, training, mistakes, and masterworks have to flow under the bridge before this level of work is even possible. Especially with a stick heated by coals and the work being done balanced on his leg. The detail he pulls from the spear-shaped head of the iron is amazing. 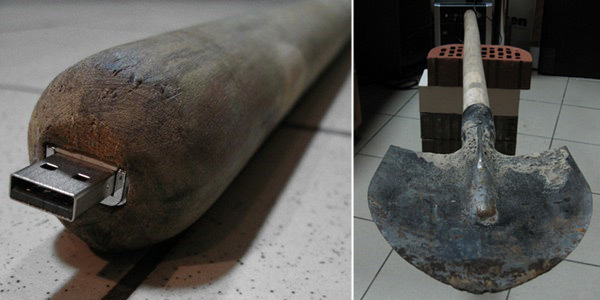 Occasionally we get pictures of tools and we just don’t know what they are. We love that — and love to check out what folks have dug out of their stash and try to ID it. In this case, reader Glen sent in a picture of this bit of steel. 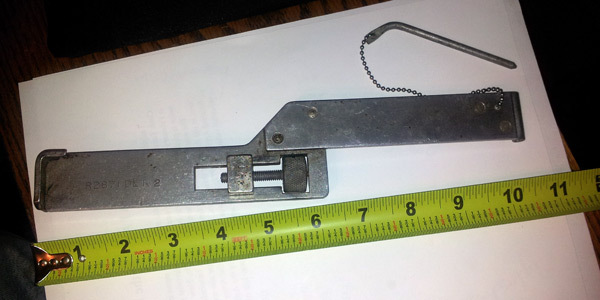 To us, it looks like an adjustable fence or guide. 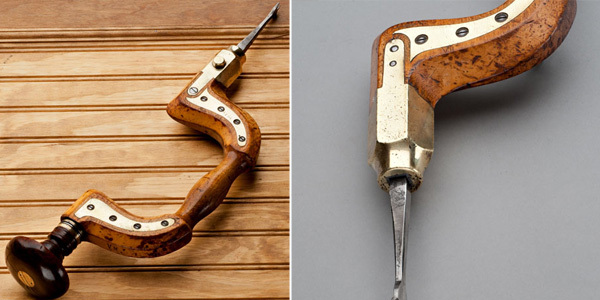 My first thought was that it was part of a shoe for a saw, but the pin and tube on one end is really throwing me. The markings on the left side read “R2871 DET 2” if that helps at all, but it didn’t reveal anything helpful in our search. What say you Toolmongers? Can anyone help Glen out and tell him (and us) what this is? If so, let us know in comments. You can’t do any worse than we are at the moment.